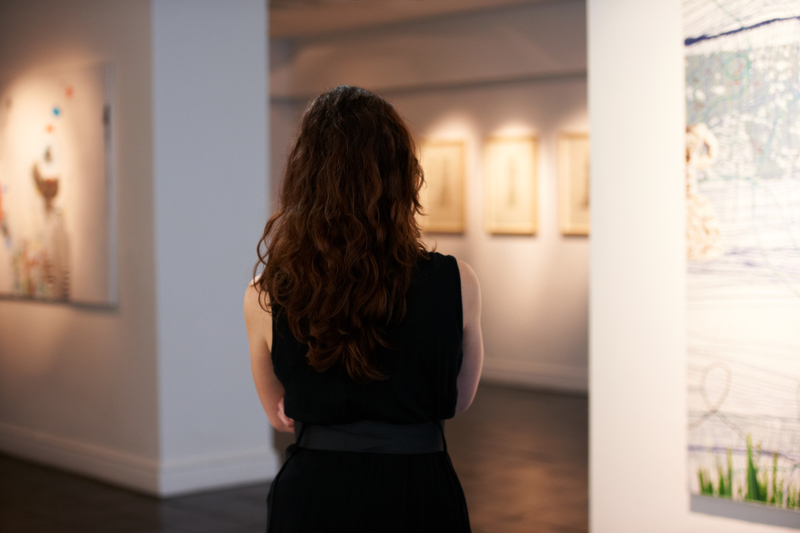 If you love going to art museums and exhibits, you’re in luck. There is a new fine art gallery in the Ardmore area, and it’s quickly becoming one of the hot spots in town. It’s called Marvin’s Place, and it’s located in the Depot District. Go see it now while you can. After all, you don’t want to be the last of your friends to make it there. Now, check out some of the featured artists to see what they do. You’re going to love their artwork when you visit. Ivy Heymann is a porcelain pottery artist, and she has some really interesting pieces at Marvin’s Place. Her work is simple but powerful, and she’s been working with clay since 1971. During that time, she has developed special methods to give her pieces a distinctive look and feel. Oh, and if you decide you really love her pieces, you can even buy some from her. There are some pieces that you can even use to cook with. You don’t see many pieces like Janet Alexander’s in your average gallery space. That’s because Alexander is a metal jewelry and clay artist. She is known for creating earrings, cuffs, pendants, rings, and more. You can also make purchases from Alexander, but you may even be content to just look at her beautiful pieces at Marvin’s Place. Photography is becoming an increasingly creative medium, and many artists are using unconventional techniques and tricks to produce beautiful art. Sharon Burris will absolutely wow you when you see her photography pieces at Marvin’s Place. It’s clear that she is an expert at catching light at just the right angle. These are far from the only artists who have their work displayed at this new gallery. There are always new pieces coming in, so you can come back time and time again and always find something new and interesting. The next time you visit, be sure to identify your favorite artists out of the bunch. We may not have any paintings or sculptures, but at Toyota of Ardmore in Ardmore, Oklahoma, we can provide you with cars that are truly masterpieces. Even better is the fact that you’ll be able to take one home so that you can enjoy it each and every day. Take a look at some of the amazing cars we offer, and let us help you find the right one for you.